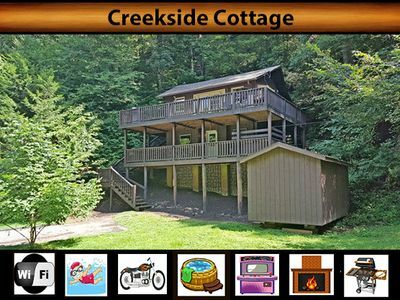 Creekside Cottage.. 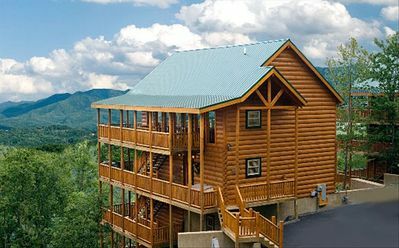 The perfect place for your Smoky Mountain Vacation. 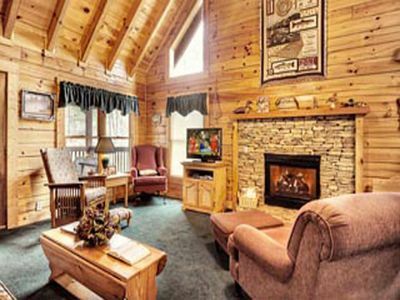 This cabin is one like you haven't seen before.. From the outside you see an ordinary cabin, but walk inside and it will blow your mind. 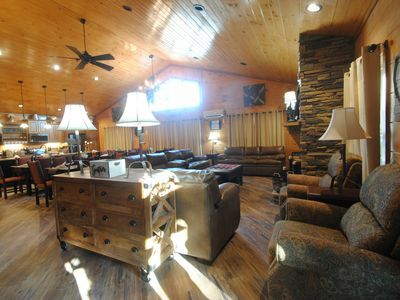 The owner of this cabin has done amazing things. 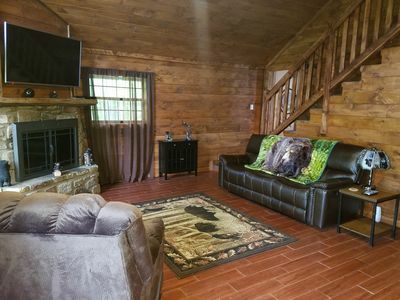 They have mixed modern with cabin, farmhouse, and retro decor. 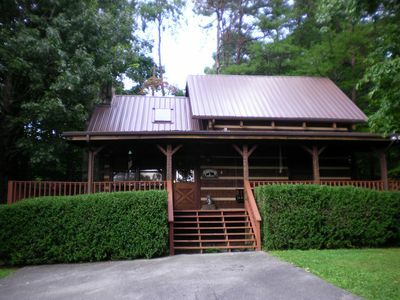 Creekside Cottage has so much detail and craftsmanship on the inside, you will be taking home ideas for your own house. 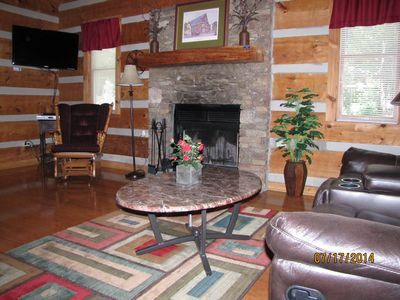 Everything is brand new and this is the first time it will be on the rental program. 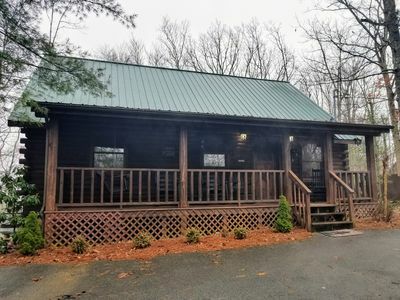 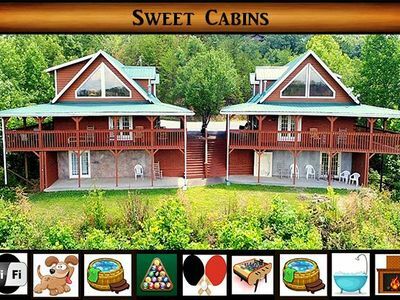 The cabin has two levels: On the top level you will find the cozy living room, fully equipped kitchen, full bathroom, and two queen bedrooms. 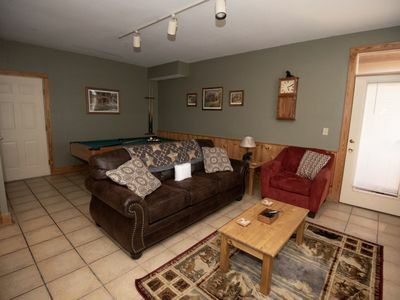 On the bottom level you will find two couches (one pulls out into a bed), cocktail arcade game (60 games on it), bunk bed (twin over twin), and a half bath. 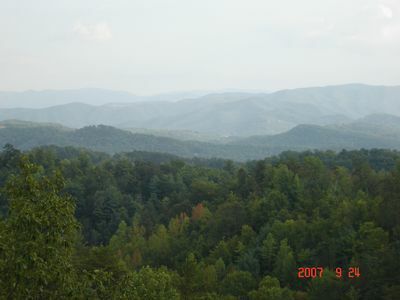 Outside there is a perfect little creek that runs year round. 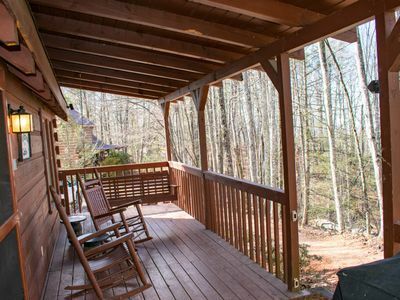 You can do a little creek playing or sit on the bench to read a book and listen to the water. 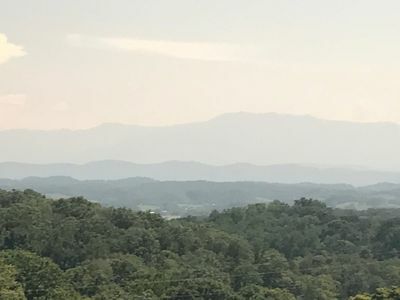 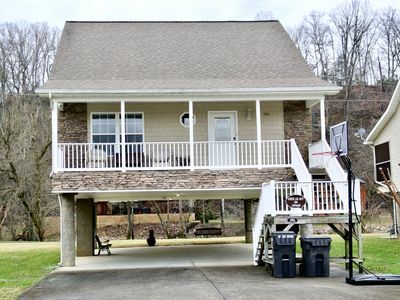 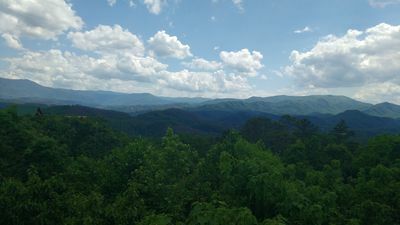 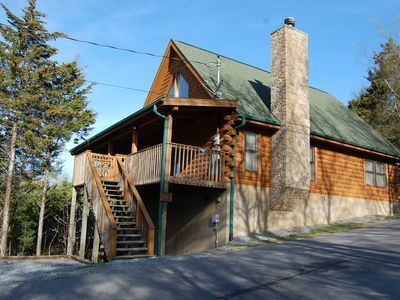 Creekside cottage is located in a gated community called Shagbark, which is only about 10 minutes from Pigeon Forge. 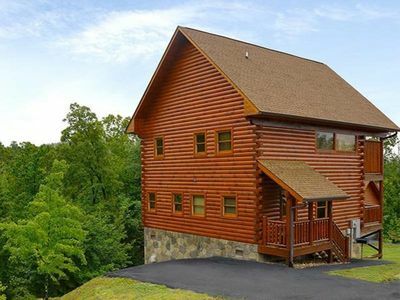 This cabin is easily accessed in any weather and there is no scary roads to get to the cabin. 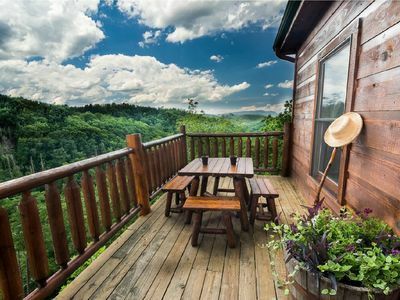 All in all, you CANNOT go wrong with this cabin. 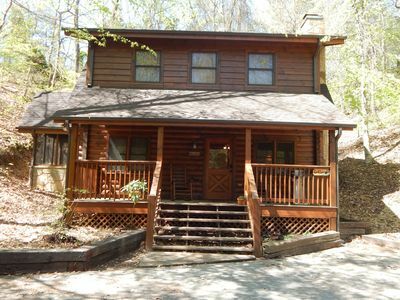 Book now, or lose out because Creekside Cottage will not last long! 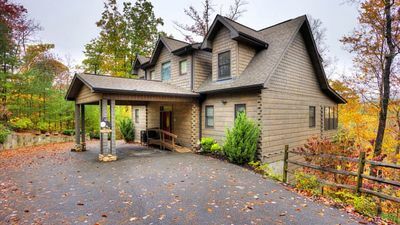 Peaceful Getaway At Douglas Lake Resort! 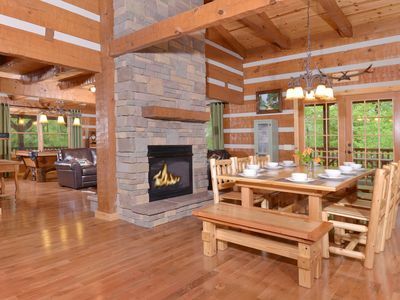 "Priceless View" is an elegant all wood cabin that absolutely lives up to its name.